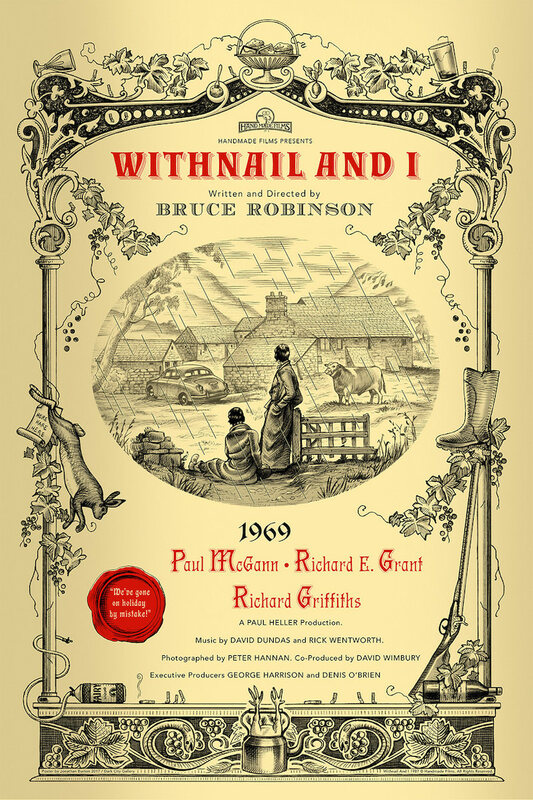 Jonathan Burton has a fun new film poster for the British classic Withnail & I. The regular edition is an 18″ x 24″ screenprint, has an edition of 150, and costs £40. 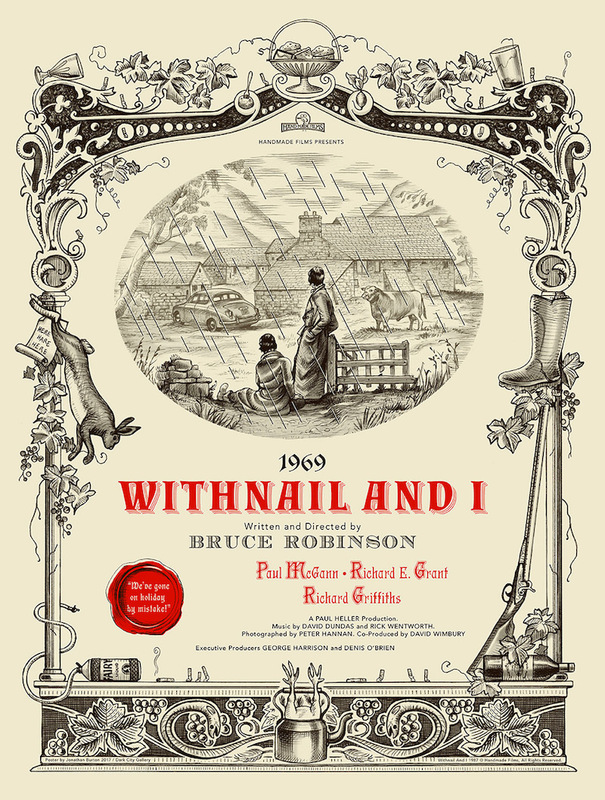 The variant edition is a 24″ x 36″ screenprint, has an edition of 75, and costs £75. Visit DarkCityGallery.com.